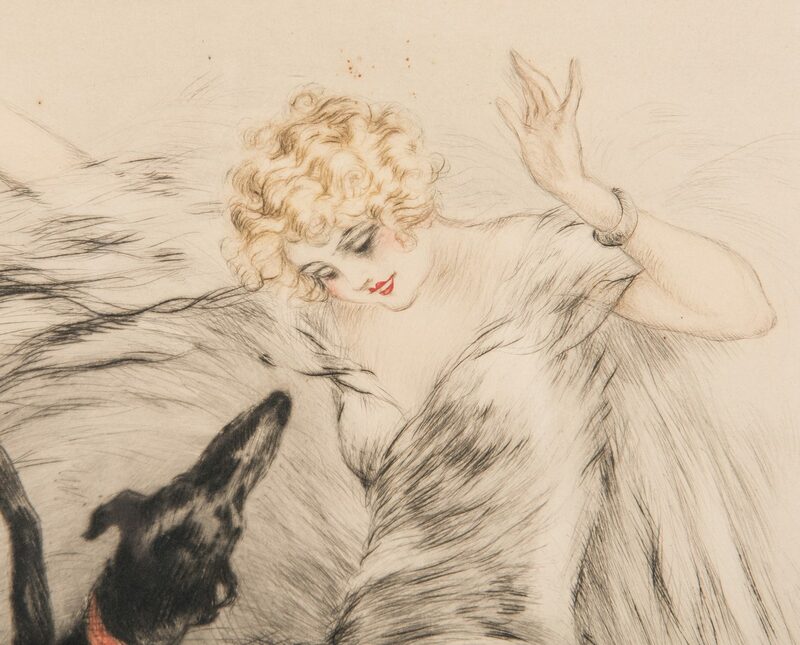 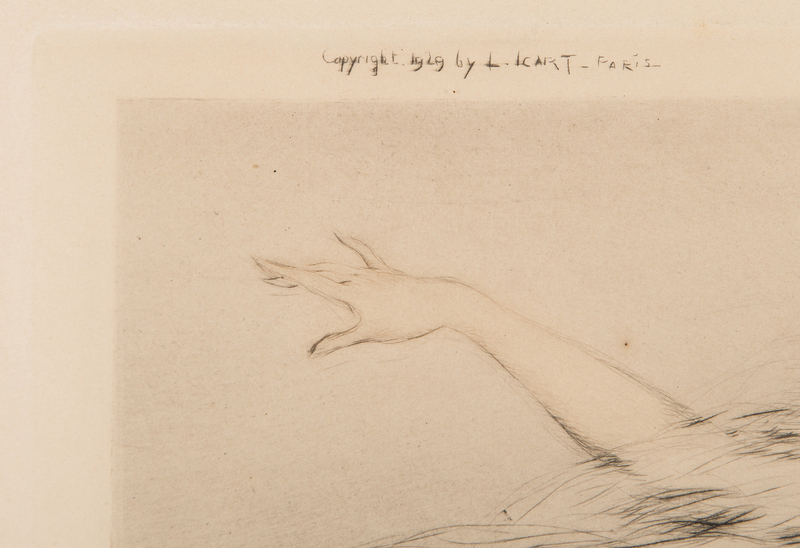 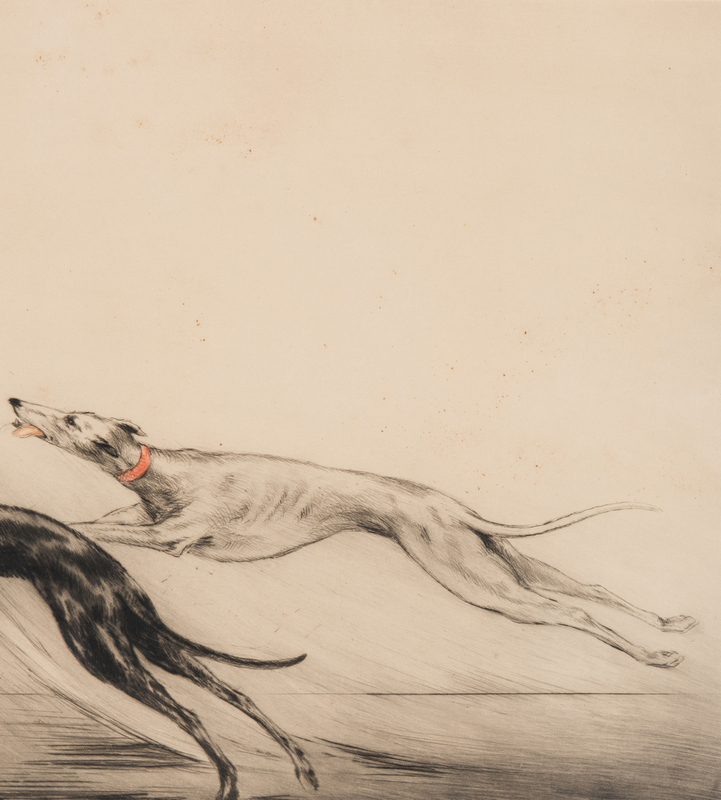 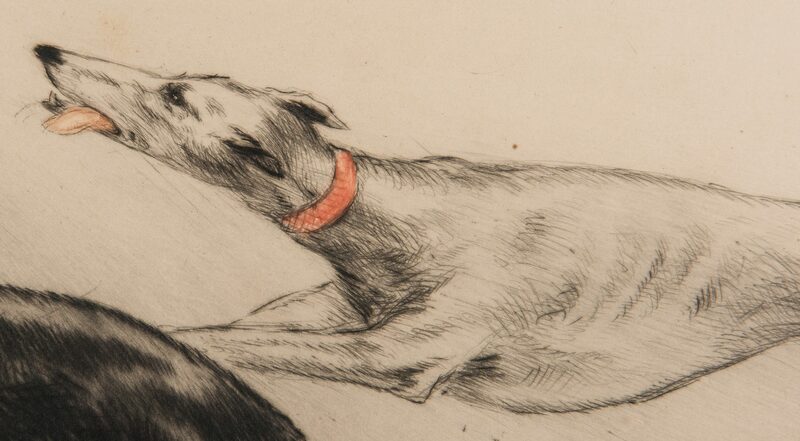 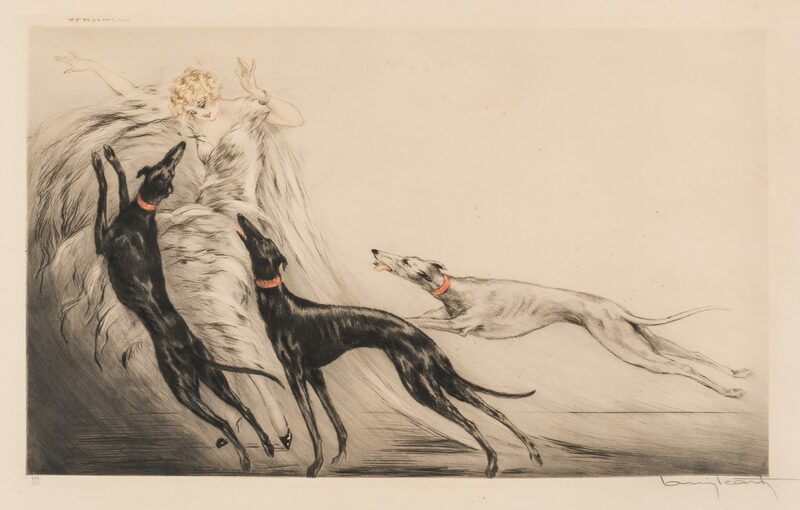 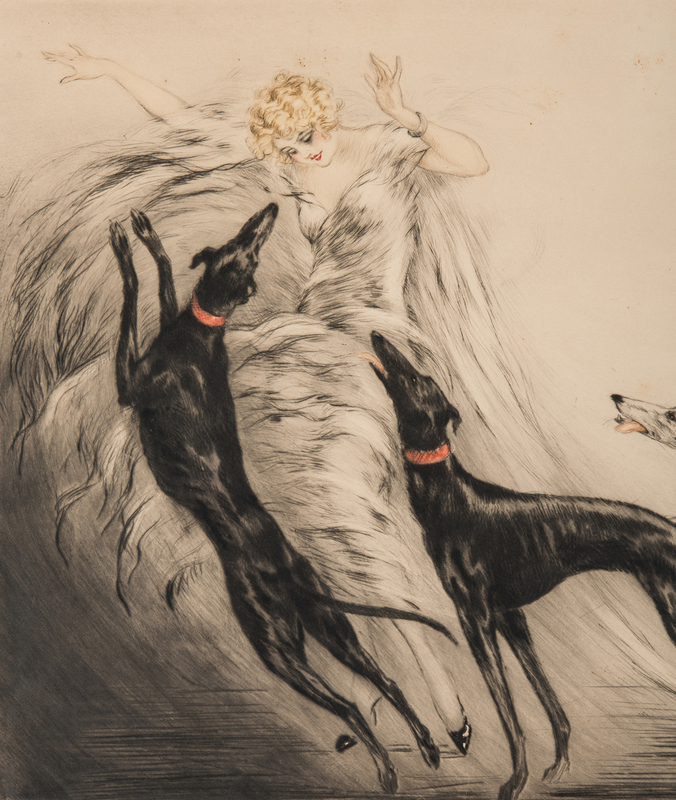 Louis Icart (France, 1888-1950) colored etching with aquatint depicting a young beauty playing with three greyhounds. 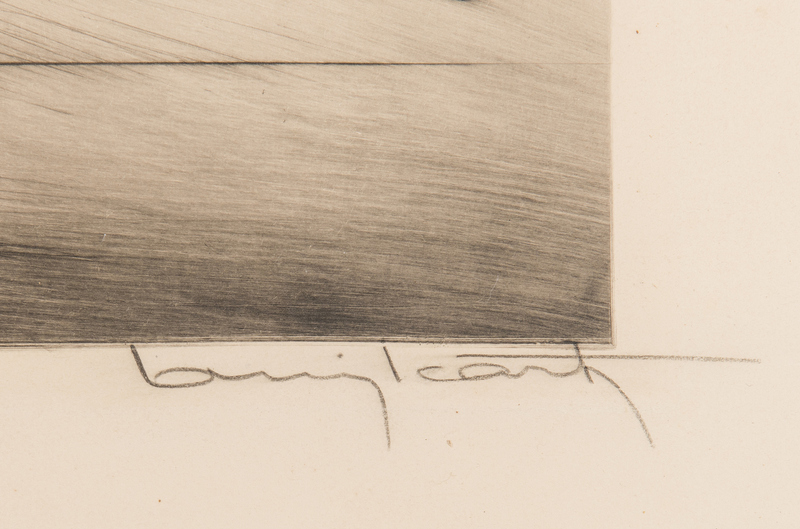 Signed by the artist lower right. 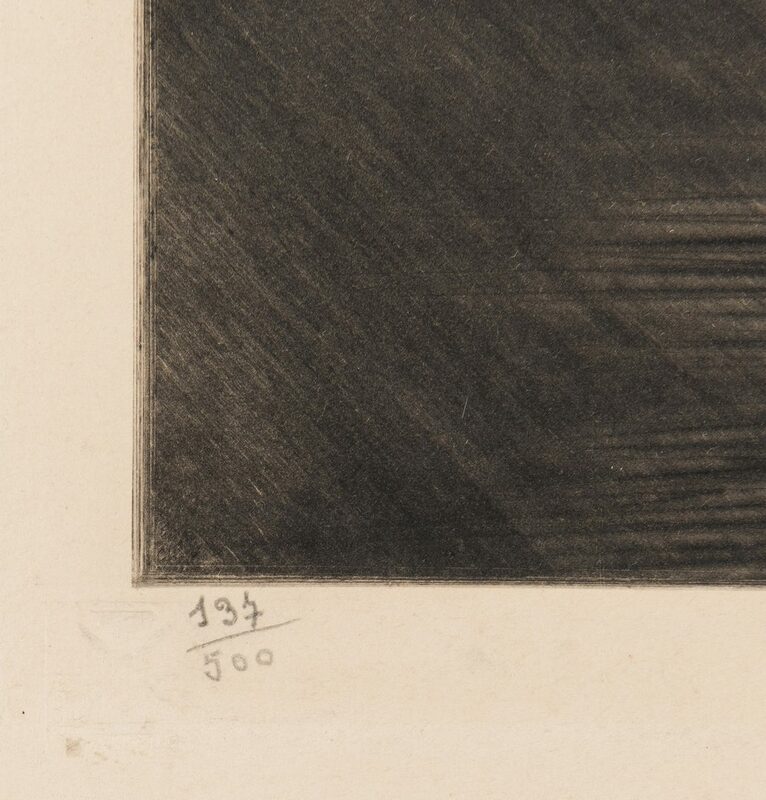 Numbered "137/500" above Windmill/Paris watermark lower left, with copyright information and dated "1929" upper left corner. Housed in a simple gilt wood frame. 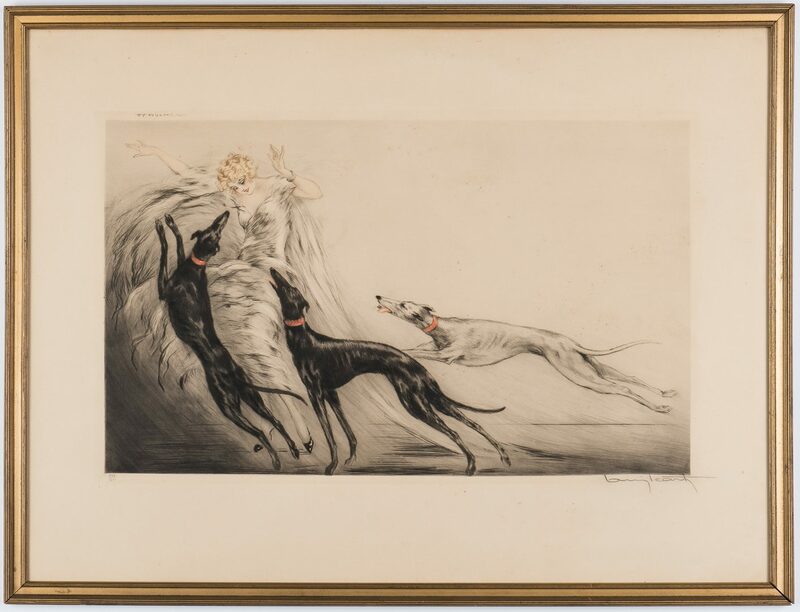 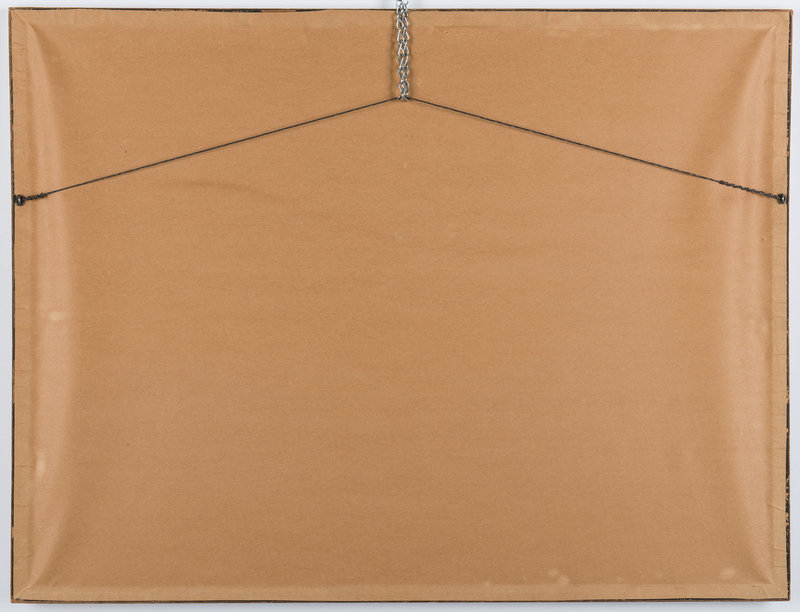 Sight – 15 7/8" H x 25 3/4" W. Framed – 25 1/2" H x 33 1/2" W. CONDITION: Light overall toning to etching, otherwise overall good condition. 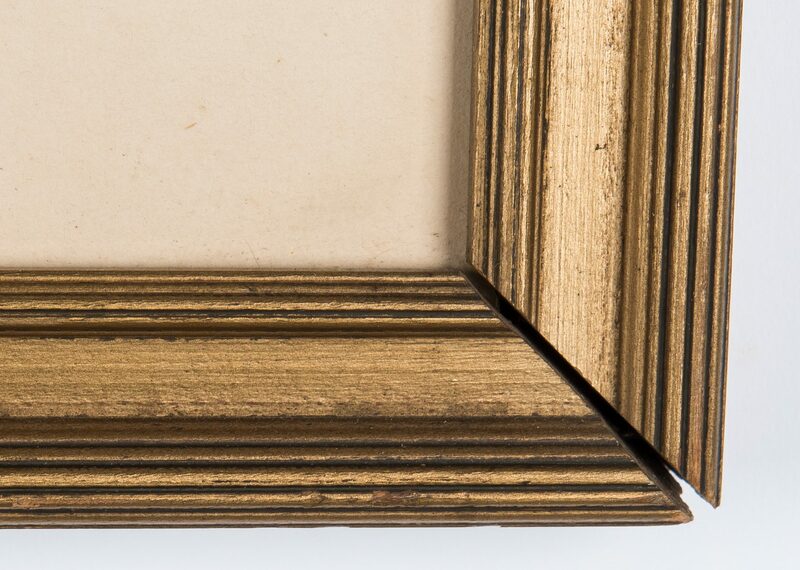 Light abrasions to frame, some separation to lower right edge.